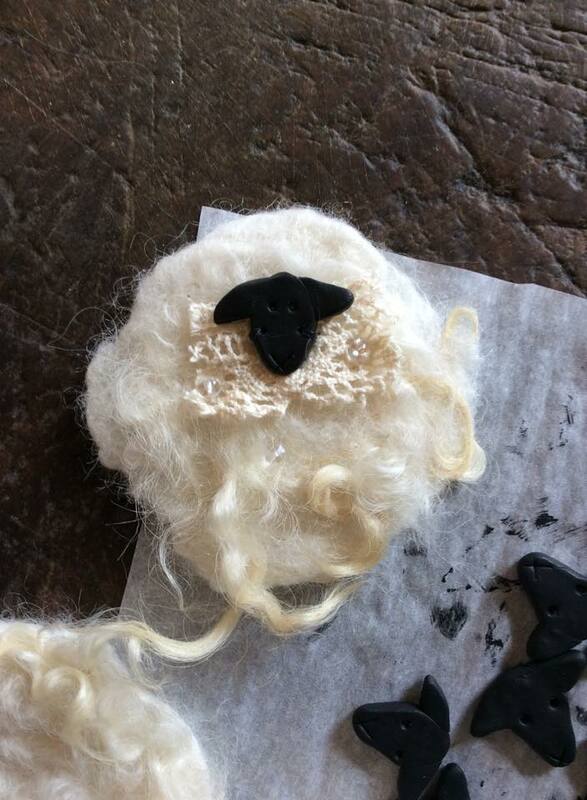 Did we already ‘talk’ about these sheepy brooches? They’re very similar to the woolly sheep doilies (w/o the lace doily sandwiched between the wool layers). Read that post here. All I did was wet felt a handful of wool roving and wool locks/staples (for additional texture). 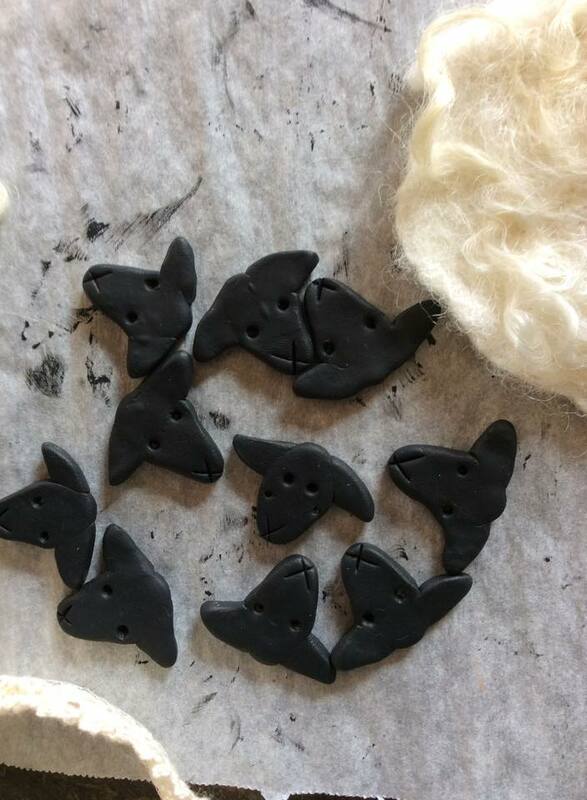 The majority of work was spent making the little oven-fired clay faces! 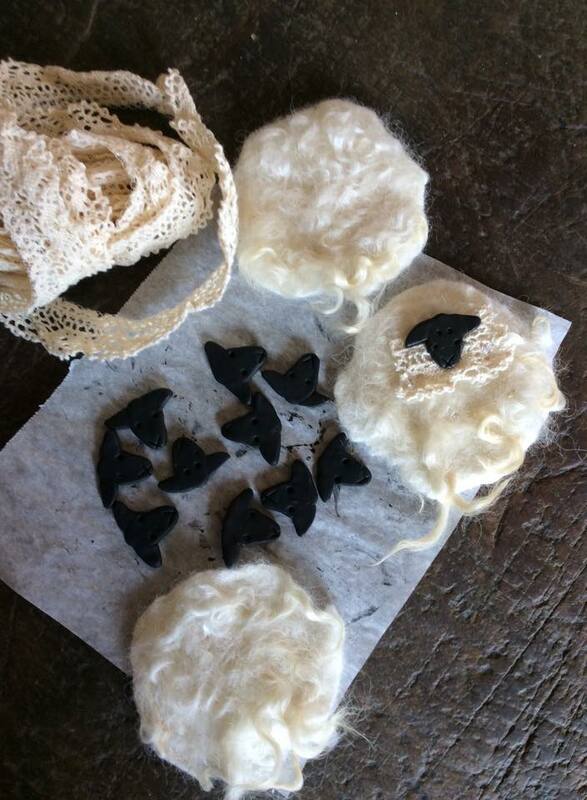 … painted black and stitched them into place on the felt. 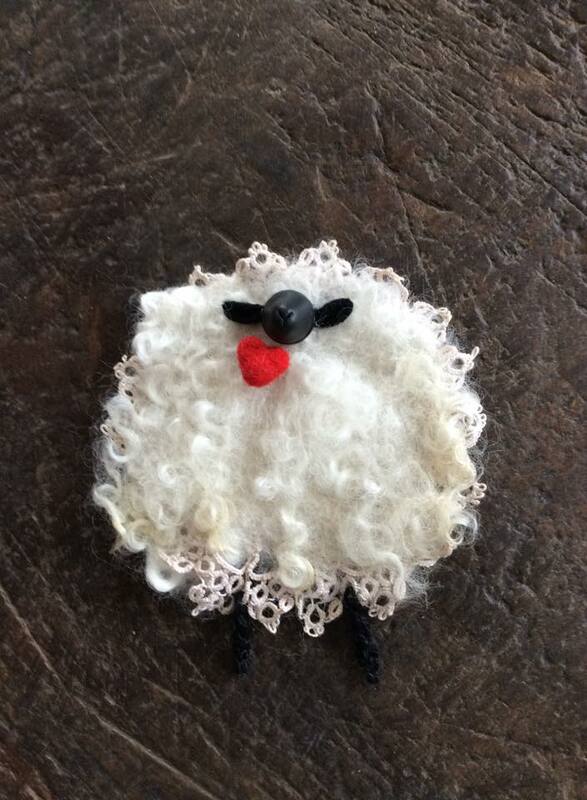 Add a bar pin back or a piece of thread for an Easter tree decorated with sheepy ornaments?! This entry was posted in Projects, Sheep/Fiber and tagged felting, fiber art, handmade, sheepy, wet felting, wool by Sheepy Hollow Farm. Bookmark the permalink.